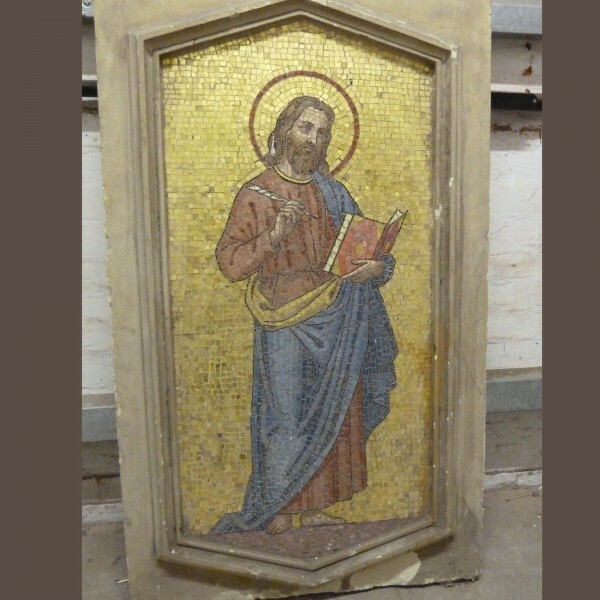 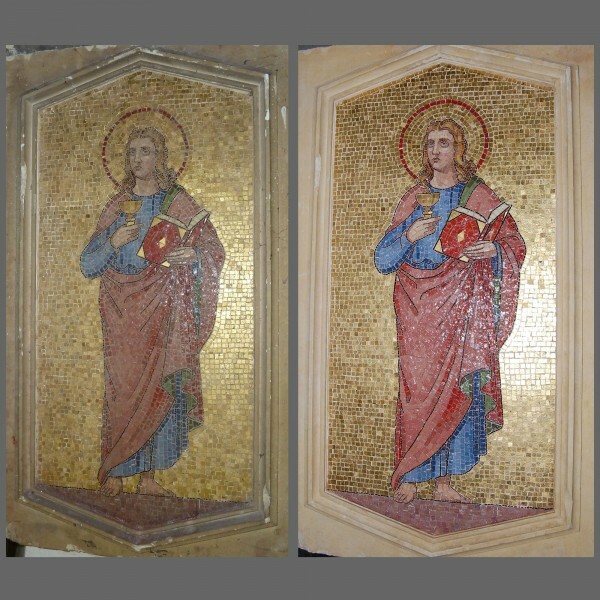 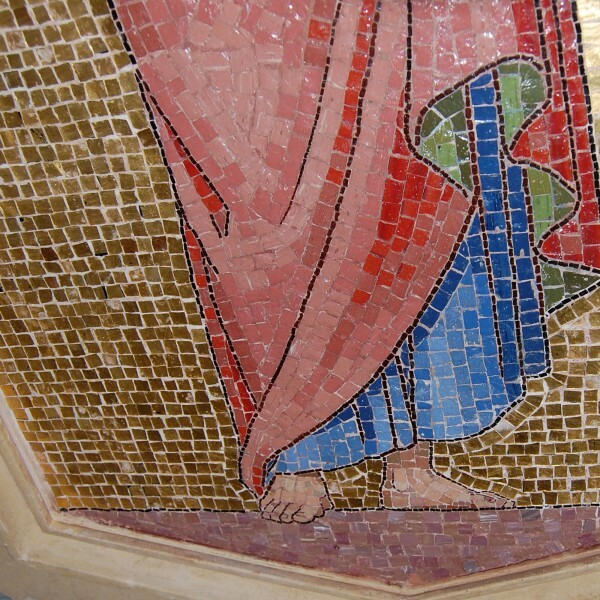 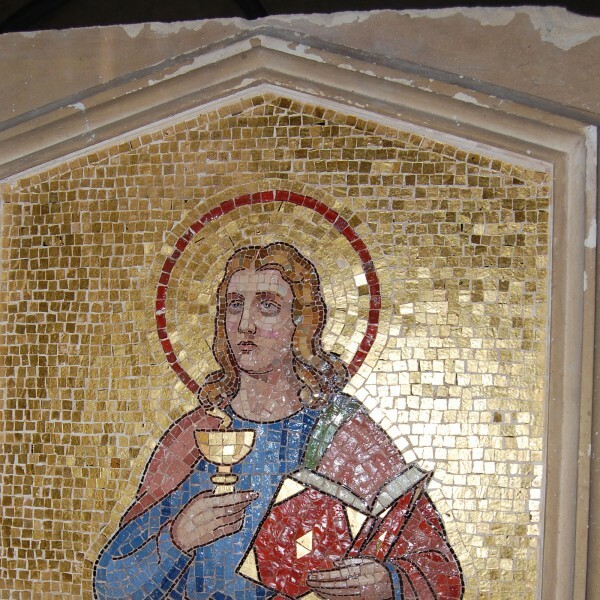 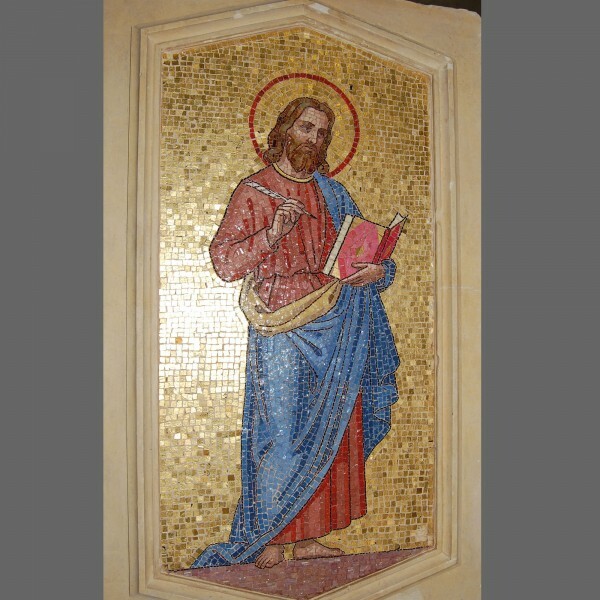 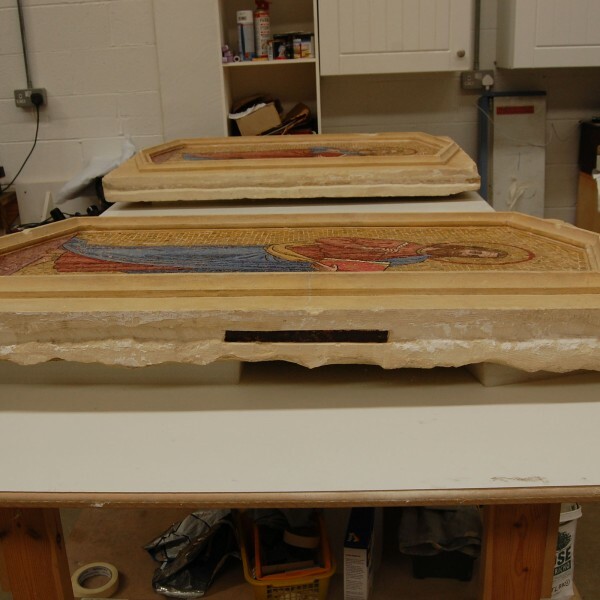 The Mosaics arrived in our workshop in remarkably good structural condition despite their appearance but the surface of the stone surrounds were in the process of de-laminating and many areas of impact damage were apparent. 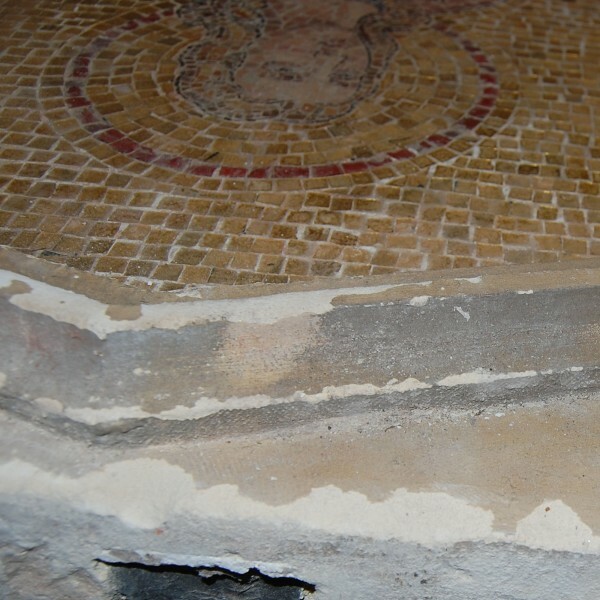 The mosaic tiles themselves were covered in a heavy layer of dirt and debris. 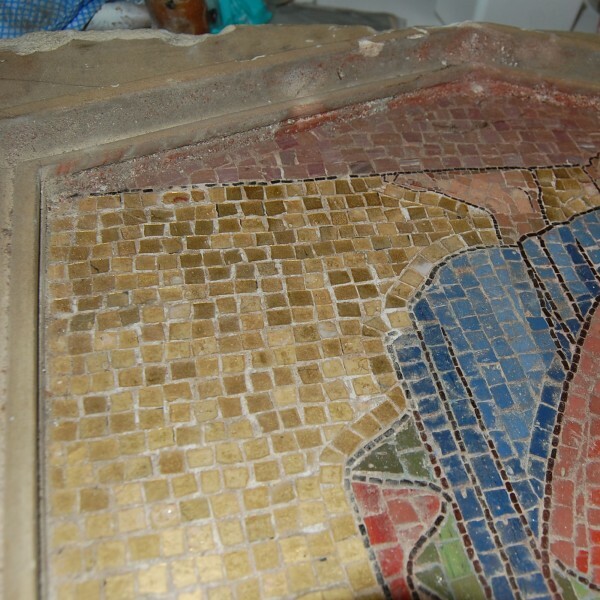 Extremely careful steam cleaning revealed the vivid coloured tesserae, loose sections were consolidated, the stone frames cleaned and where necessary damaged areas were repaired and toned in.